The 2 days / 1 night tour is perfect for customers that are short of time but would like to visit Ayers Rock (Uluru) and the Olgas (Kata Tjuta) and enjoy 1 night camping in swags under the stars in the Outback. 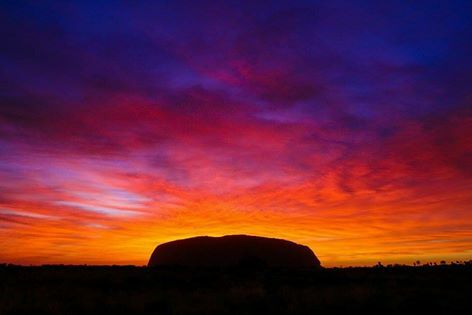 The Rock Tour will pick you up from the Ayers Rock Resort (Outback Pioneer) or Ayers Rock (Uluru) Airport. We will drop you off on day 2 at Ayers Rock Airport by 11.15am or Ayers Rock Resort by 11.30am. Pick up from Ayers Rock (Uluru) Airport - We can pick you up from any flight into Ayers Rock Airport (Uluru) (Jetstar from Sydney, Melbourne and Brisbane, Virgin Australia from Sydney and Qantas from Cairns). Those arriving into Ayers Rock Airport (Uluru) on the Cairns or Brisbane flight in the morning can catch the free shuttle bus to Ayers Rock Resort (Outback Pioneer) for pick up at 12.00pm. Pick up from YHA Ayers Rock (Outback Pioneer) at 12.00pm from the main reception. 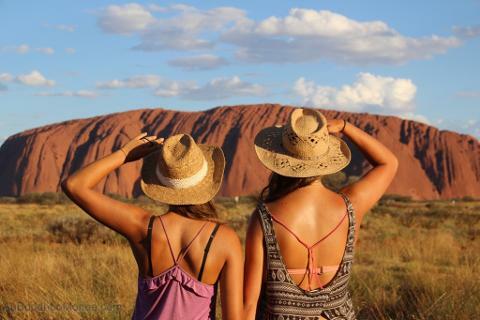 You will be picked up from either the YHA Ayers Rock (Outback Pioneer) or Ayers Rock Airport (Uluru). Enjoy lunch and visit the Aboriginal Cultural Centre where you can learn about the Dreamtime, before starting your Uluru Base Walk. Take in the spiritual significance of Kantju Gorge, Mutijulu Waterhole and Aboriginal Cave paintings before a guided Mala Walk before sunset on Uluru, where you will have dinner. 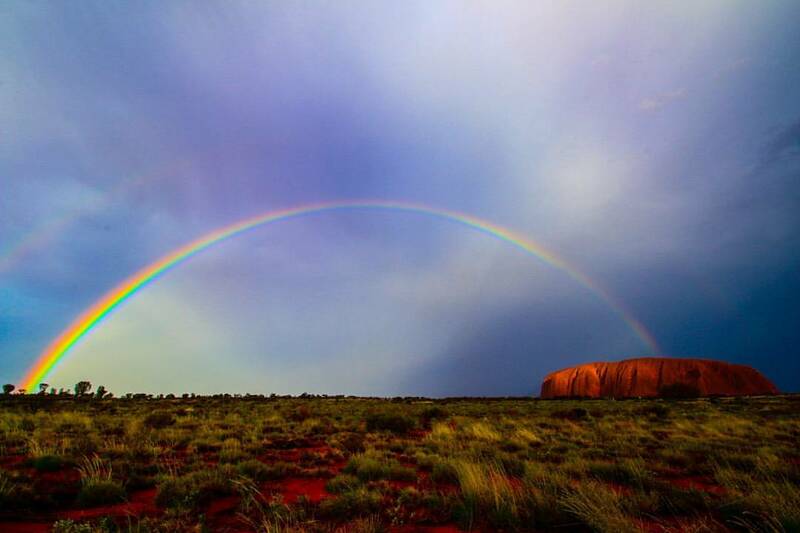 Spend the night camping under the stars at the Ayers Rock Camp Ground in swags with hot showers and toilets. Tents are available. Up early for Sunrise at the Uluru/Kata Tjuta viewing area before heading to the Valley of the Winds at Kata Tjuta. Your guide will explain bush tucker and rock formations along the hike. You can be dropped off at the Ayers Rock (Uluru) Airport if you have a flight out on Day 2, we will drop you off by 11.15am at the Airport or 11.30am at the Outback Pioneer lodge. Free Airport Shuttles operate every hour from the YHA Ayers Rock (Outback Pioneer) to the Ayers Rock Airport (Uluru) if you wish to spend the night and fly out of Ayers Rock on Day 3. You will need to bring 3 litres of water each (x2 bottles of 1.5l). You can purchase this at the Cultural Centre in Ayers Rock if needed or bring empty bottles with you on the plane. We can pick you up from the Outback Pioneer Lodge at 12.00pm at anytime of the year.